Wolf Hirth was already well respected and was also the Chief Instructor at the Grunau Gliding School, whereas Edmund Schneider was young and unknown. Because of this, Wolf Hirth was asked and agreed to say that he was the man behind the Grunau Baby design, a fact that he would then never contradict in future. 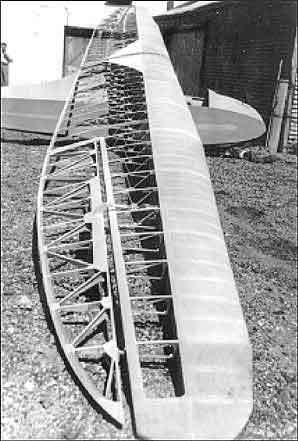 For the fuselage, a simple ply-covered flat-sided pine structure, strong, cheap and easy to build and repair, was used, as opposed to the fabric covered, internally braced pine structures, which were easy and cheap to build or repair, but were heavier and less durable, (The latter had been used on all training gliders. 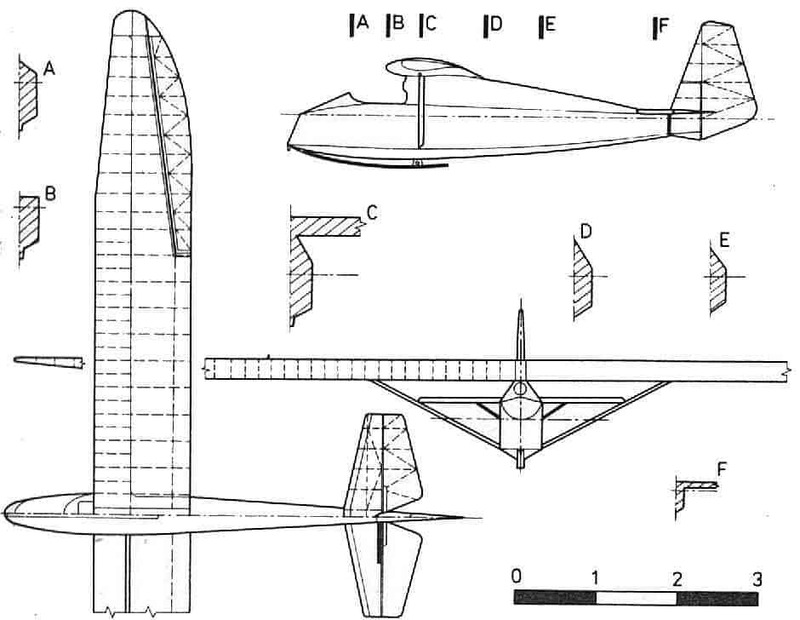 ), and the curved, light, semi-monocoque fuselages of most of the high performance gliders of the time, which were expensive and difficult to build and repair, Thus the Grunau Baby had the strongest, cheapest and best fuselage for its intended task, The wing took its strength and rigidity from a stressed plywood torsion box ahead of the main spar. This was a light and aerodynamically good, but expensive and difficult construction usually reserved for high performance aircraft. The wings of training gliders were usually internally and often externally braced pine structures that made no use of stressed ply for their strength and rigidity. These wings were strong, easy and cheap to build and repair, but were heavier and not so good aerodynamically, since a fabric For the fuselage, a simple ply-covered flat-sided pine structure, strong, cheap and easy to build and repair, was used, as opposed to the fabric covered, internally braced pine structures, which were easy and cheap to build or repair, but were heavier and less durable, (The latter had been used on all training gliders. 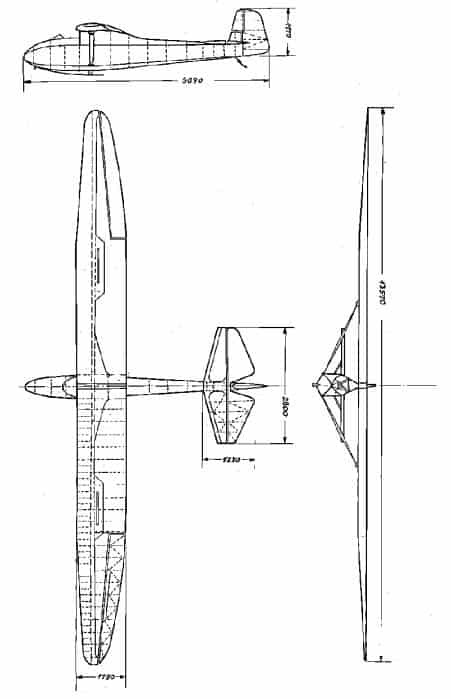 ), and the curved, light, semi-monocoque fuselages of most of the high performance gliders of the time, which were expensive and difficult to build and repair, Thus the Grunau Baby had the strongest, cheapest and best fuselage for its intended task, The wing took its strength and rigidity from a stressed plywood torsion box ahead of the main spar. This was a light and aerodynamically good, but expensive and difficult construction usually reserved for high performance aircraft. The wings of training gliders were usually internally and often externally braced pine structures that made no use of stressed ply for their strength and rigidity. These wings were strong, easy and cheap to build and repair, but were heavier and not so good aerodynamically, since a fabric covered wing surface is not as accurate as a ply covered one. Thus the Grunau Baby had a cheap to build fuselage and a good, if expensive wing. The wings were hinged at three unaligned hinge points on the top of the fuselage and all their vertical loads were transferred to the base of the fuselage by means of strong struts. Later in the 1930s efforts were made to improve the Grunau Baby with lighter, more expensive semi-monocoque, rounded fuselages, i.e. the Slingsby Kite 1, the Cambridges and the Baby Bowlus. Although these gliders were lighter than the Grunau Baby 2 and promised max. theoretical L/D ratios up to 1:21, it was not considered worth building them in quantity because of the extra cost and the insignificant performance increase in practice. However, no less than 25 Slingsby Kite 1s were built. Plans circulated worldwide, and US designers, especially in CA, copied the wing–look for the Bowlus Baby Albatross. After 1945 it was not possible to build the Grunau Baby economically in Britain, because of its expensive wing construction. Slingsby Sailplanes designed and built a fabric covered internally braced, spruce structured sailplane, which made little use of stressed plywood covering for its strength and rigidity, This was the 1947 Prefect. Although a heavier glider it was a cheaper glider to build, being constructed in the manner of an elementary training glider, yet offered a slightly better performance. The weight of the first Grunau Baby 1 was incredibly only 220,51b, or 100kg. The weight of a Grunau Baby 2b of 1939 was 3751b or 170kg. Even when new, no two gliders of the same type weigh the same, and the weight of some Grunau Babies may now be almost 400lbs. The Baby 1 had a ply covered fuselage of hexagon cross section and the strut braced wing of 12.8 span had differential ailerons and a thick Gottingen 535 aerofoil that gave good lift at slow speeds and a gentle stall. Grunau Baby 2In 1933 the design was modified to a 13.5 span, a roomier cockpit and a redesigned tail unit. One of the first of these, designated Grunau Baby 2, was flown by German pilot Kurt Schmidt for 36 hours, which remained a world duration record until 1949. Schneider continued to refine the airplane and introduced the Baby 2 A and the definitive 2 B. The 2 A introduced a wing of slightly greater span to accommodate spoilers for glidepath control, ailerons with a narrower chord, and for the first time, a canopy and windscreen for the cockpit Grunau Baby 2b On the 2 B, Schneider changed the spoilers to the more powerful Schempp-Hirth, ‘parallelogram’ configuration and added a wheeled launch dolly that the pilot jettisoned immediately after takeoff. The Baby 2B had a longer nose and a wider cockpit and proved to be the most popular version of the design and was the one most built. 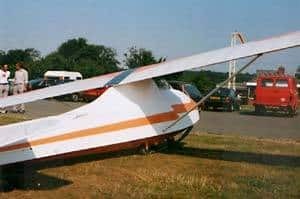 The Lasham Grunau in 1986 which Cliff Charlesworth used to make his model. Precise numbers are not known but various craftsmen have probably built more Grunau Babies and Baby derivatives than any other sailplane. Thousands were constructed in western Europe between 1931 and 1945. During World War II, factory records show that 4,104 rolled from workshops in Germany and the occupied countries. After the war, thousands more were built in Czechoslovakia, Spain, Sweden, Great Britain, and Australia. 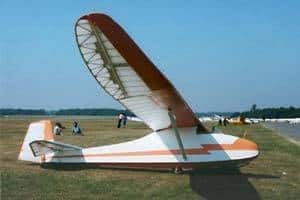 The Grunau Baby also influenced the development of other sailplanes such as the Slingsby Kirby Kite, Slingsby Cambridge 1 and 2, and the Slingsby Type 21 two-seat trainer.Edmund Schneider designed the Grunau Baby and built the first examples at his factory near the village of Grunau, in the Silesia region of eastern Germany. Today, this area is part of western Poland and Grunau is called Jesow. Schneider built the first Baby in 1931. It was a smaller version of the ESG 31 Stanavo, a sailplane designed during the same year for American pilot Jack O’Meara. Schneider used an innovative wing design patterned after the elliptical wings used on the high-performance sailplanes designed by the Academic Flying Group of the Darmstadt Technical University, the Akaflieg Darmstadt. Schneider’s wing held a constant chord from the root to the aileron, and then the leading and trailing edges tapered to a rounded wingtip. To maintain control during a stall, Schneider designed the outboard wing and aileron with washout, or twist. On a wing with positive washout, the trailing edge of the wing curves up near the tips when viewed from the rear. The German glider champion, Wolf Hirth, had nothing to do with designing the Grunau Baby. However, he lent his name to the Baby sales campaign and for some time, many thought he was the designer. This was easier to believe because the glider handled well in the air and exhibited good performance. The factory at Grunau began to hum steadily to fill a stream of new orders. The fatal crash of another Schneider sailplane at the 1932 German national soaring contest in Bavaria compelled Schneider to hire a professional aeronautical engineer, Emile Rolle. Rolle redesigned the Baby from nose to tail and the new version was called the Grunau Baby II. Among its many improvements, the Baby II had a longer wing, reshaped rear fuselage, and a shorter rudder. On April 3, 1933, Kurt Schmidt soared a Baby II all day, all night, and into the next day without landing. He had remained aloft for 36 hours and 36 minutes, a new world endurance record for motorless airplanes. The news electrified the world and for the next ten years, Grunau Baby II production continued without pause. 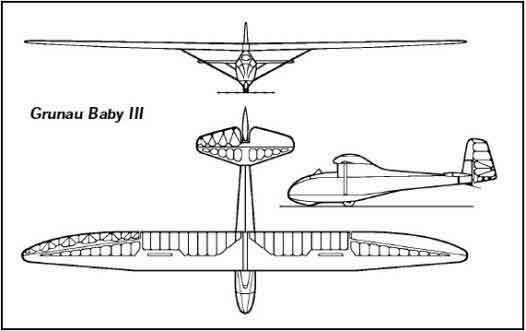 Schneider continued to refine the airplane and introduced the Baby II A and the definitive II B. The II A introduced a wing of slightly greater span to accommodate spoilers for glidepath control, ailerons with a narrower chord, and for the first time, a canopy and windscreen for the cockpit. 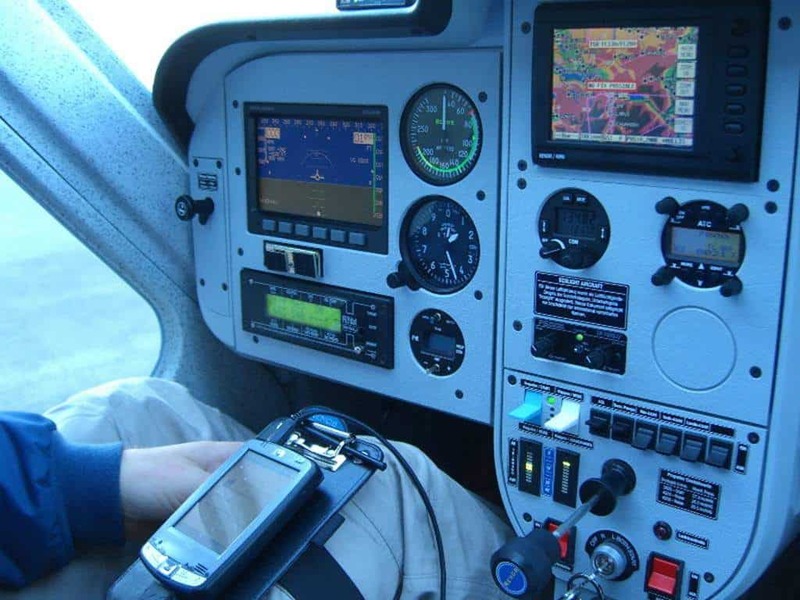 When the Baby first appeared, it was accepted wisdom that the pilot should feel as much unimpeded airflow as possible, the better to sense rising and falling currents of air, temperature changes and the like. On the II B, Schneider changed the spoilers to the more powerful Schempp-Hirth, ‘parallelogram’ configuration and added a wheeled launch dolly that the pilot jettisoned immediately after takeoff. 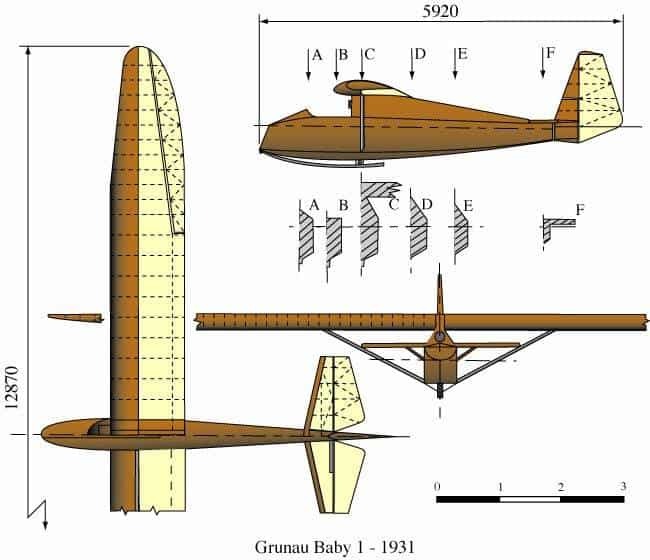 Other versions followed but more Grunau Baby II B gliders were built than all other variants combined. Soon after the end of WW2, the Grunau Baby 3 was designed built in small numbers in Germany. It was little more than an improved 2B model but it also had a cockpit canopy and a landing wheel in place of the former skidded undercarriage. When Edmund Schneider and his family moved to Australia in 1951 the baby 3 was again slightly updated to be the Baby 3A. Only one 3A was ever built. It is still around. Throughout the various versions the original Gottingen 535 aerofoil was retained. These flew in 1934 with 18HP Kroeber M.4 engines mounted, pushing, between and above the wings. The engine was not retractable. A photograph shows five of these on the ground and another four in the air over the airfield of Hartau, near Grunau. The span was 13.6m, length 6.6m and empty weight 190kg. Various modifications to the outline were made by some of the many different manufacturers. The easiest to recognise are the rudder profiles, some of which are shown on the right. Further changes are detailed in the following text. How many Grunau Babies were built? An exact answer is not possible. In Georg Brütting’s `Die Berühmtesten Segelflugzeuge” it states that Edmund Schneider’s factory at Grunau built about 80 Grunau Baby Is and 700 Grunau Baby 2s, 2A and 2B. In addition to this, the type was in mass production at Espenlaub’s Factory, at Schweyer’s factory, (which in 1943 built 280 Weihes,) at Naumberger’s factory, at the Schwarzwald (Black Forest) aircraft factory, which also mass produced M”-13Õs, and was being built by gliding groups and firms all over Germany. 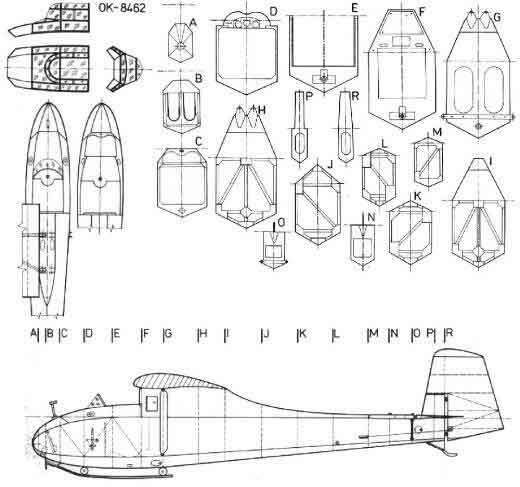 It was also put into licensed production in almost twenty countries including Holland, Spain, Rumania, Bulgaria, Czechoslovakia and above all, in Sweden where the Swedish Air Force flew 31 Grunau Baby 2B-2 it has been built under licence.. We believe that the Grunau Baby was also mass-produced by Schleicher’s factory during the War. 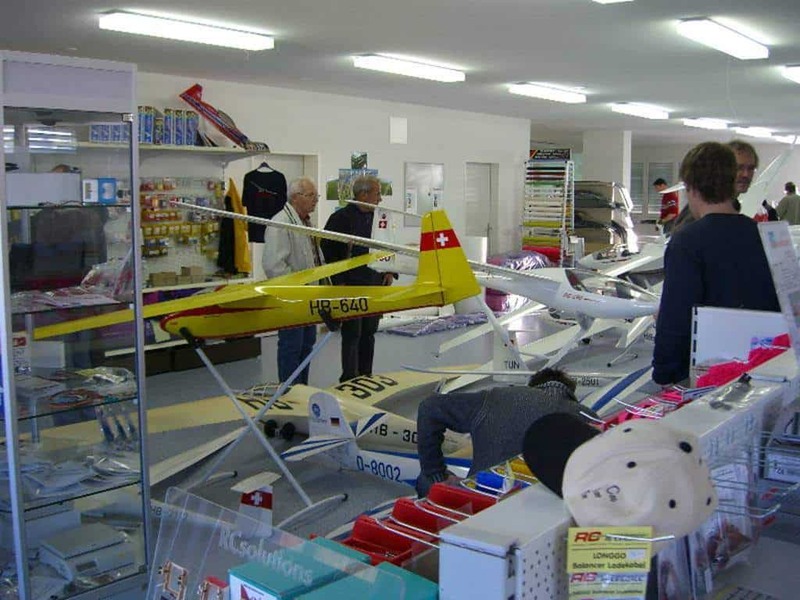 Brütting states that possibly 5000 Grunau Babys were built in total, and it is therefore evident that the Grunau Baby became the most flown sailplane in the world. Martin Simons writes in ‘Australian Gliding’ that 22 Grunau Baby Is were built by Edmund Schneider in 1932 alone, but he indicates that yet more were built by groups from plans bought from Schneider. Martin may have obtained this information from Harry, Edmund Schneider’s son, who has a glider factory in Adelaide, South Australia. 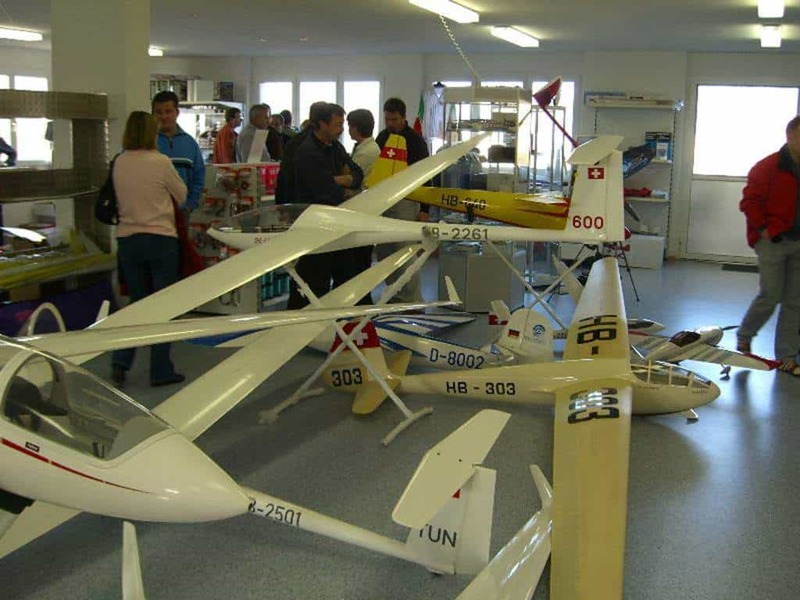 Our information indicates that during the War the number of Grunau Babys in Germany far exceeded the number of all other sailplane types put together, though there may have been more primaries than Grunau Babys. Alone of all types, mass production of the Grunau Baby continued well into 1944 and factory records show that 4,104 rolled from workshops in Germany and the occupied countries. From this, it would seem possible that if there were as many as 4104 Grunau Babys in Germany during the War, there may have been a total of only 2000 to 2500 other types. Aircraft fuel became scarcer as the war progressed, and the Grunau Baby’s role as a pilot training aircraft became more important. The Baby was considered as semi-aerobatic, although test pilot Eric Collins was killed in his Grunau Baby at the Cobham Air Show in 1935 when he attempted a forward loop and lost a wing. To completely train fighter pilots in the Grunau Baby was not possible. Nevertheless, its contribution to cheap initial training and selection of aircrew was beyond measure. They were extensively used in invasion glider training, and one technique was to use an angled landing light to help in night landings. Without it, the German Eagle would have found it much more expensive to get airborne. Just before the War, the Grunau Baby seems to have been worked on by DFS prior to mass production for the NSFK. As from this time it was known as the DFS 49 and had the German RLM glider code 108-49. All Grunau Baby 2B drawings are marked thus. Almost certainly from this time the Grunau Baby 2B became the 2B-2 version. Aircraft fuel became scarcer as the war progressed, and the grunau baby’s role as a pilot training aircraft became more important. The baby was considered as semi-aerobatic, although test pilot Eric Collins was killed in his grunau baby at the Cobham air show in 1935 when he attempted a forward loop and lost a wing. To completely train fighter pilots in the Grunau baby was not possible. Nevertheless, its contribution to cheap initial training and selection of aircrew was beyond measure. They were extensively used in invasion glider training, and one technique was to use an angled landing light to help in night landings. Germany by any foreign countries. They were therefore built locally by a Mr. Karpf and became known as the Karpf Babies. In 1941, 23 Grunau Baby 2s and one Grunau Baby 1 out of a total of 240 sailplanes were registered in Switzerland. In 1956 11 Grunau Baby 2s, 4 Grunau Baby 2Bs and 12 Karpf Babies were registered. The Grunau Baby 2 was placed in production under licence by Slingsby Sailplanes as the Slingsby Type 5 in 1935. 15 were built at that time. 10 Grunau Babys were repaired or rebuilt during and just after the War. These were captured German Grunau Babys. Another 7 were built from 1935 by private individuals. Details of the above ware taken from Norman Ellison’s book ÒBritish Gliders and Sailplanes 1922-1970. BGA numbers and VT numbers can be obtained from that reference.During 1948 the firm of Elliott’s of Newbury (EoN) built a modified Grunau Baby, known as their Type 8, or EoN Baby. 47 were built. This machine sometimes had dihedral, an elevator trim tab, landing wheel, and the later ones had straight fuselage backs, as had the Grunau Baby 1Õs. The total British Grunau Baby 2 production was therefore 69. One Grunau Baby 1 was built in 1934 by Desoutter, of the London Gliding Club. It was a very fine aircraft and much loved but failed to survive the war. Schleicher Flugzeubebau started a small production of Grunau Baby 2Bs again, notably for the Dutch. The Grunau Baby 3, which had a more spacious cockpit than the 2B, enclosed by a canopy also went into production. The wings had no forward fuselage attachment point and are thus attached to the fuselage at only two points, instead of three. It must be mentioned that the Grunau Baby 3 originally flew during 1943/44 over the Wasserkuppe and received the RLM code 108-66. It was nothing like the postwar Grunau Baby 3 and as far as we know resembled a scaled down ES-49. It is understood that it had a two-wheeled undercarriage so that the pilots could practice 3 point landings.In Germany during the 1950s the Doppelraab, Cumulus and Grunau Baby 5 all had basic Grunau Baby wings, but were very different from the original design. It is possible that the Lomatzsch production 2Bs had the new wings. Assuming that in excess of 5000 is the rough total of Grunau Babys built all round the world, then this is a record production for any one type of glider. 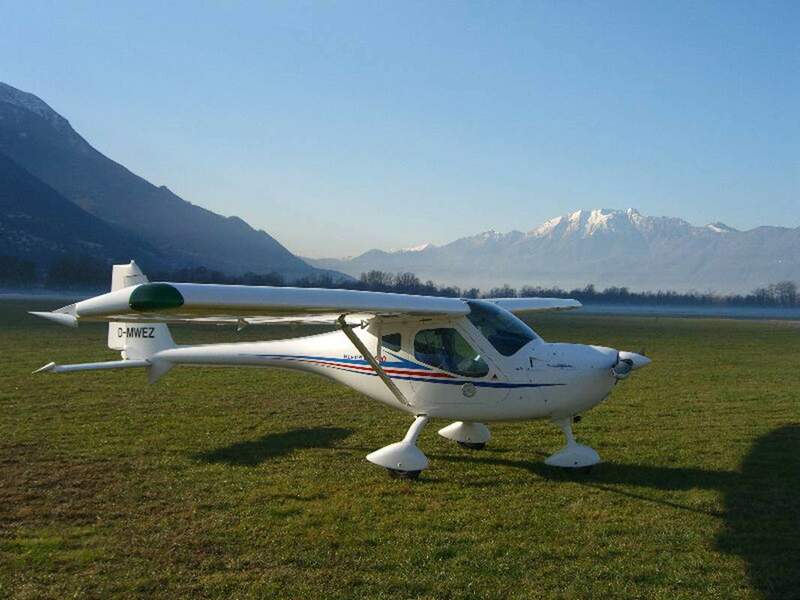 The Grunau Baby 2a gliders were made in Hungary iunder licence. Four Grunau Baby 2As were bought from Germany in 1944 by the Hungarian Railways “Sport Gliders”Association. One of these was burnt in Farkashegy and another one diappeared during the war. The other two remained damaged, but only HA-3107 was repaired. This glider crashed totally in 1952, because the airbrakes had been permanently opened. In spite of the serious damage, the pilot J‡nos M‡rkus, got out of the accident uninjured. Grunau Baby 1s were entered in the 1933 Rhön Contest. They carried off no honours but created such a good impression that they were soon being built in German gliding clubs. In 1933 there was a major redesign resulting in the Grunau Baby 2. By increasing the span to 13.5m an increase of performance was gained without much weight or cost increase whilst the wing spars were increased from one to two. One difference between a 2A and a 2B is that the wing ribs of the former are built complete and pass over the main spars. 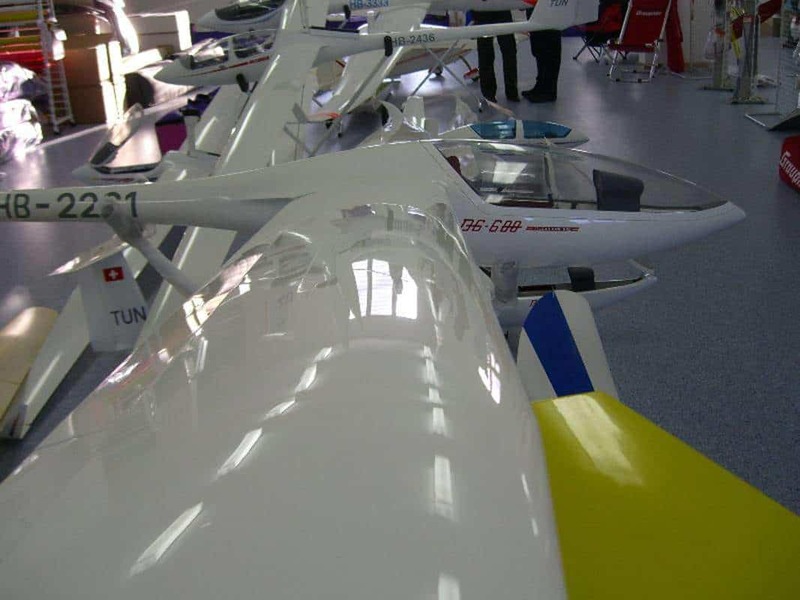 Thus the leading edge D-box stressed ply does not bear directly on the main wing spars, as it does on all other Grunau Baby variants. (Information from Eric Rolph). 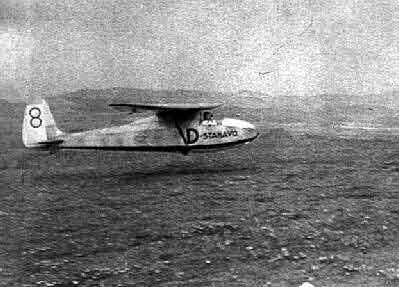 The Grunau Baby 2 immediately hit the headlines, for on 3rd and 4th April 1933, Kurt Schmidt, who later became the champion of the Mü-13, flew over his native East Prussian sand dunes for 36hr 36min to establish a world duration record which stood officially until 1949, in spite of unofficial duration records of over 38hrs by Eric Nessler in a Spalinger S.18 over La Montagne Noire, France, 1942, and over 55Hr by Ernst Jachtmann in a Weihe in 1943, etc. Wartime records were not recognised by the FAI. Any pilot who has flown a Grunau Baby for more than a few minutes, and a great many have used this machine for their Silver C 5hr test, must feel enormous respect for Kurt Schmidt’s stamina. The seating position was bolt upright, the seat itself rudimentary, the rudder pedals were not adjustable, the cockpit on the earlier model was wide open and sometimes even without a windscreen. At the 1933 Rhön Contest 33 Grunau Babys appeared, and at least one flight over 100km was achieved. The manufacturers were claiming that now one Grunau Baby 2 was leaving the workshop every three days. Wolf Hirth adopted the Grunau Baby as the training glider for his soaring school at Grunau. It was a Grunau Baby that he used to explore the Moazagotl wave, and it was in a Grunau Baby that he crashed, attempting a loop from a fast run at ground level. He broke his leg and his pelvis. Probably he would have broken his other leg if he had had one, but he had lost that one in an aeroplane crash some years earlier. Before the War Grunau Baby 2s became very popular. Unfortunately, Eric Collins, the first British Silver C pilot, after attending an aerobatics course in Germany, was killed in 1935 attempting an outside loop in a Grunau Baby at Sir Allen Cobham’s Air Circus. At that time no one knew that outside loops should only be attempted in special aerobatic gliders. However, most pilots learned to glide painlessly in the Grunau Baby, thanks to its docile flying characteristicsIn 1939 a Grunau Baby broke the British height record. 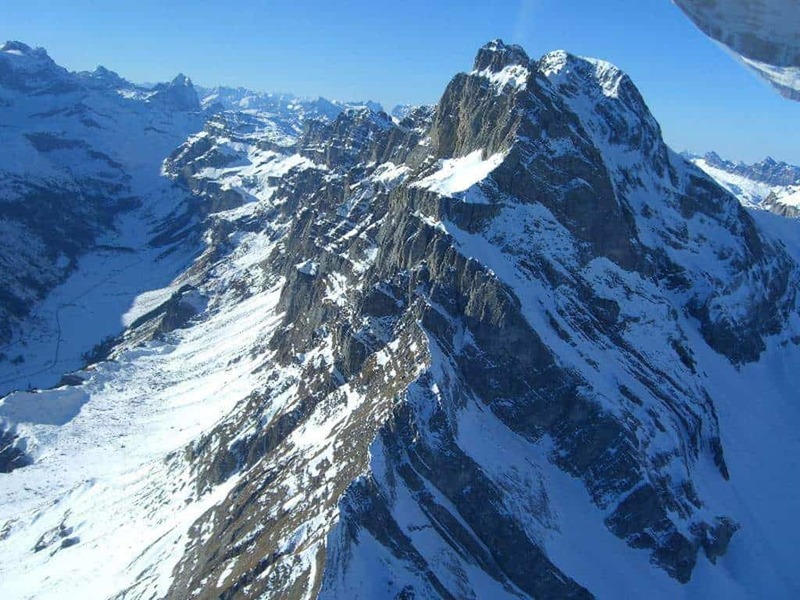 During June, Noel McLean flew a Grunau Baby to 11,140ft in the Helm wave. The Helm Wind is an easterly wind that pours down the 2000ft west slope of the Pennines. McLean contacted wave from a winch launch near Cross Fell at 12.40. 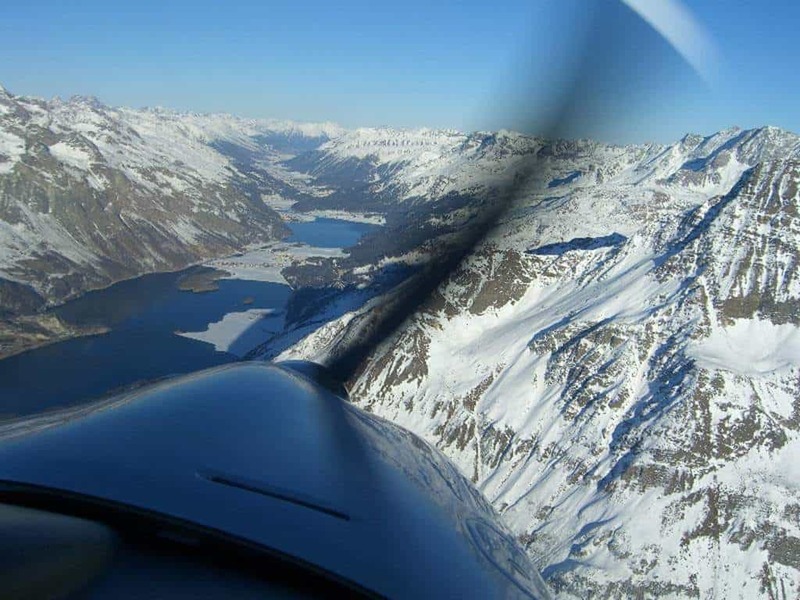 During the 2hr flight he found himself floating in clear air at 11,000ft admiring a stupendous view of the west coast. The cold was terrible and all his controls were stiff and frozen. The wind speed was 40mph, and so his great problem was how to keep the Grunau Baby from drifting back into the sink of the wave, for then there would have been no way of getting back to the take-off point. Spins, sideslips, etc., were needed to bring the Grunau Baby down, for it had neither spoilers nor airbrakes, so strong was the lift. He held the record for only one month before it was broken again by Philip Wills in his Minimoa… 14,170ft in a thunderstorm near to Dunstable. During the War about 100 Grunau Baby 2Bs were built under licence and were used for Air Force training, as in Germany. Before the Swedish licence-built JS Weihes gained the national records, they fell to Grunau Babys. They were as follows:Distance – 134km 27/1943 Gunnar Karlbom, from Alleborg to Faringe.Height 4,540m 13/6/43 Ake Gaevert.Our Swedish source, Allt om Hobby 3/76, says that other Babies managed distances of more than 300km, and 5000m height.We have no details of Nord 1300 performance in France, but we know of one Argentinean National Contest, shortly after the War, where Grunau Babys were flown by every competitor, the idea being that everyone should fly identical machines, and no other type was available in sufficient quantity. During the contest Grunau Babys carried out many flights of between 200 and 300kms. On 30/12/39 a Grunau Baby set a national height record of 5,300ft. There are still five Grunau Baby 2Bs on the Australian register as well as five later versions. We have been contacted by a gentleman in Australia, who intended to rebuild a Grunau Baby 1! The story of the Grunau Baby is far from finished. Many are flying all over the world. During the last ten years many Grunau Babys have been restored to flying condition, and whilst they are no longer available on ‘free transfer’, the purchase price may well be far less than the cost of refurbishment. Edmund Schneider died after his return to Germany from Australia in the 1950s. Wolf Hirth died of a heart attack during a flight in a Lo 150 over the Hornberg in 1959. Grunau in Silesia is now called Jezow, and the Hirschberg, the mountain on which Grunau is situated, is called Jelenia Gora (Both mean Stag Mountain), as the whole of Silesia and Pomerania became part of Poland in 1945. Hanna Reitsch was born in Hirschberg. In fact, instructed by Wolf Hirth, she did almost all her early gliding in Grunau Babies. In 1935 she took her Grunau Baby to South America where it still remains in the Brazil. In 1945 the Soviet Army took Grunau but the gliders were unharmed. Some were taken to Russia, but most were left for the Poles, who restarted gliding during 1945. Almost certainly, some of these gliders are now in the Polish Gliding Museum at Krakow. Others were also taken to Czechoslovakia with the permission of a Soviet officer. Unfortunately, acting on high orders, retreating German troops burnt two large hangars and many superb sailplanes on the airfield at Hartau, in the valley below Grunau, to prevent them falling into the hands of the enemy. Peter Kirsten, who was CFI (Cheffluglehrer) at the Wasserkuppe in the early 70s, was instructing the Poles at Grunau in 1945. It is still a gliding site and it has been visited regularly by pilots from the Wasserkuppe. A disadvantage of the high lift aerofoil became evident when aerobatics were attempted. To achieve a really high speed in a Grunau Baby (say, above 50 mph) required a prolonged dive because the speed built up relatively slowly. A simple wingover needed at least 60 mph to start with, otherwise there was not enough speed to complete a neat turn at the top of the climb. A loop called for 85 mph and a fairly rapid back stick to get the nose up quickly before the speed washed off. Some pilots achieved the speed by a long shallow dive but I always preferred to start with a firm stick forward movement and a steep, short dive. It looked rather spectacular and it cost less height. This was important because in many instances we did our loops off the top of a winch launch to about 1000 ft. Going over the top was sometimes scary as it had to be achieved very rapidly before the wing stalled. On several occasions I could clearly bear the pitter-patter of dust falling from the lower surface fabric of the wing to the inverted upper surface as I seemed to poise momentarily before the downward curve began. I never actually stalled before going over the top but there were pilots who did. I remember an incident at Gawler about 1956 when Forbes Walker (whom many old ASC members will fondly remember) began a loop at about 1000 ft but on the upward curve he realised he didn’t have enough speed to get over the top, so he pushed the stick hard forward. The resulting manoeuvre was a cross between a bunt and a tailslide. We all enjoyed the spectacle except Forbes. Our member Werner Tschorn, who was there as a boy, provided information on the fate of the Reichssegelflugschule of Grunau in 1945. From the above data it is clear that the semi-monocoque fuselages and stressed D-box wings save much weight. Flying speeds for max. L:D at about 25mph or 40kph can be expected.